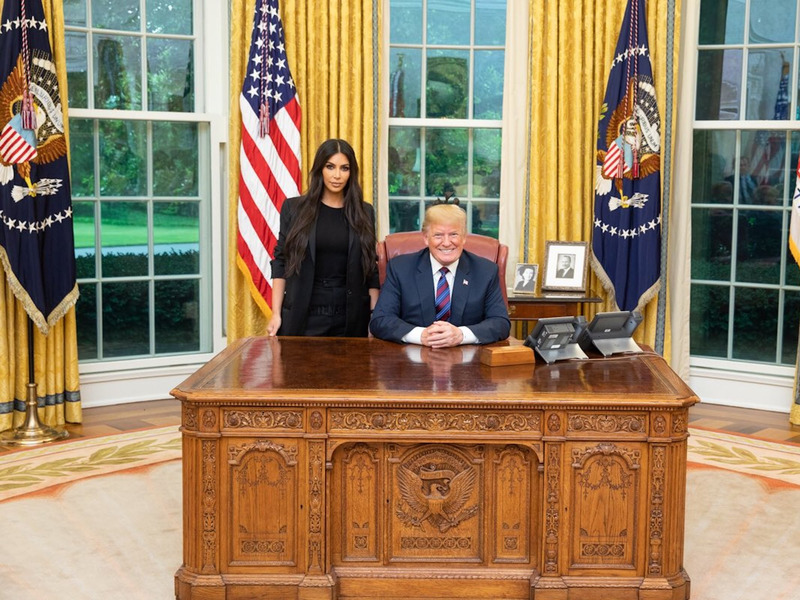 The White HouseDonald Trump and Kim Kardashian met in the Oval Office last Wednesday. President Donald Trump reportedly told Kim Kardashian during their meeting last week that she and her husband Kanye West are helping improve his support among black voters. West tweeted several messages supportive of Trump in April. Kim defended his right to have his own opinions and express himself. President Donald Trump reportedly told reality-TV star Kim Kardashian that she and her husband, hip-hop artist Kanye West, are boosting his approval among black voters, two sources familiar with the matter told Bloomberg. 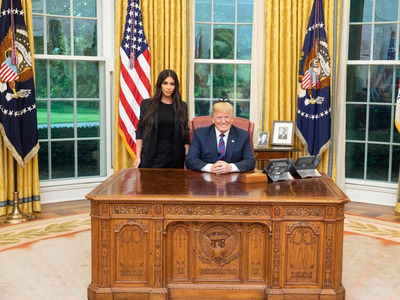 Kardashian and her attorney visited the White House las week to discuss prison reform and a potential presidential pardon for Alice-Marie Johnson, a 62-year old grandmother currently serving a life sentence for a first-time nonviolent drug-related offence committed in the 1990s. Kardashian said she became interested in Johnson’s case after seeing a viral video about it. The Reuters poll he was referring to, however, only polled African-American men and had too small of a sample size (fewer than 200), and too large of a margin of error to reliably show a shift in public opinion. His approval rating among African-Americans as a group went from 8.9% to 16.5%. Trump and West met at Trump Tower in December 2016 where they discussed “life.” Earlier that year, West said he would have cast a ballot for Trump had he voted in the 2016 election.